Still makes more sense than Superboy punching the universe in the DC comics retcon. 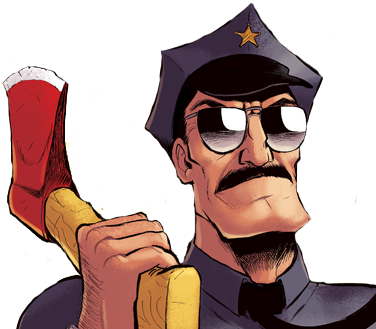 This is.. the most epic axe cop ever.. 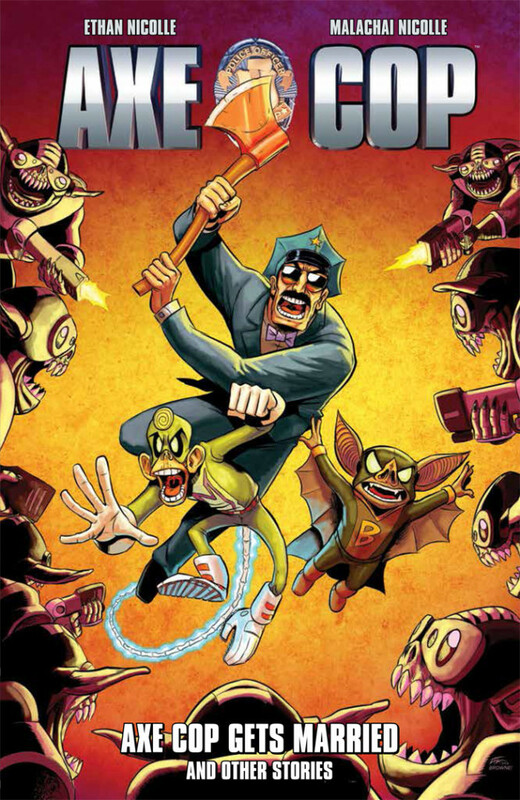 I like that Axe Cop and Flute Cop are aware of what happened in their past. 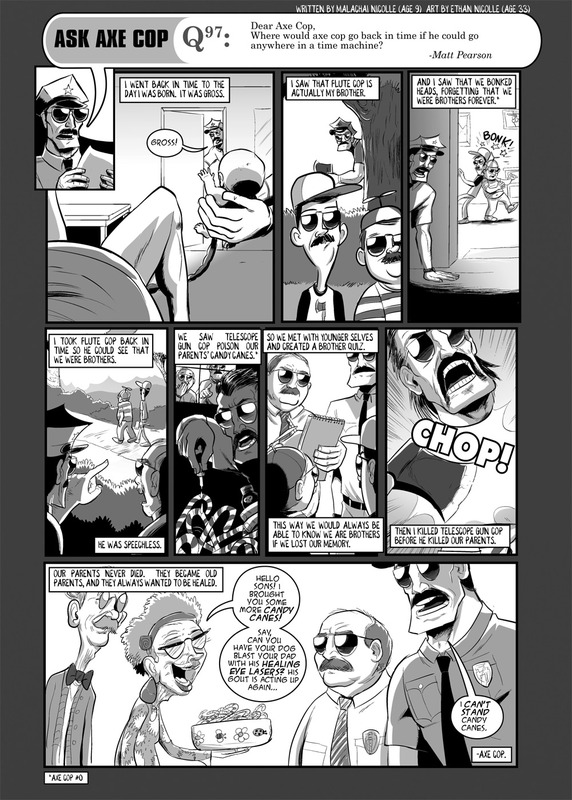 I also love that Axe Cop thinks his birth was gross. Not only is visiting his own birth gross, it can also explain how he knows about the wax man! But wait, doesn’t this mess up the ending of episode 3? Yeah I think this means episode 3 never happened now. So if Uni-Baby never got pelted with grenades, did Avocado Soldier rip off her horn? I think this is going to lead to a whole other Ask Axe Cop episode about how this effects continuity.